Wow, it really does work. Huh. I was just about to complain about Ryan being on the powerplay. GOAL RYAN!! WOW Ryan did something, wow!!! GO FLAMES GO! Big save by Rittich!! His hands need to start pumping too. Nothing like a weak call. I think we need to take Gio off the PP tonight, he is struggling big time. I would put Andersson on the top unit. How good has Ritter been tonight? He has to have earned the next start at this point. I have been saying that for some time. He's not making smart plays. Flames just not mentally there tonight. Their effort is fine and give Edmonton credit for defending very well, but the Flames haven't been this sloppy in some time. Hopefully someone can re focus them in the intermission. Stopped all but one clearcut breakaway. Earned a few games by his showing tonight. 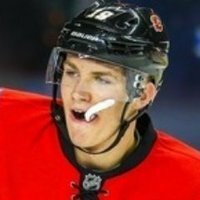 After that last break away, Rittich seemed to be giving them the FU. I am just not sure if he was giving it to the Edmonton boys or his own team. Even in the theoretical case that his performance was just average, he should start the next game, because our usual starter has been terrible. But tonight he sure makes some great saves and lets us stay in the game. Make up calls or what. Ryan did something other than win a faceoff! Good thing that Ryan had the last touch. Bennett orBacklund would have missed the open cage. Both those guys need to get off the schnide.